Children are full of them. Where did I come from? What is God like? Is there only one God? 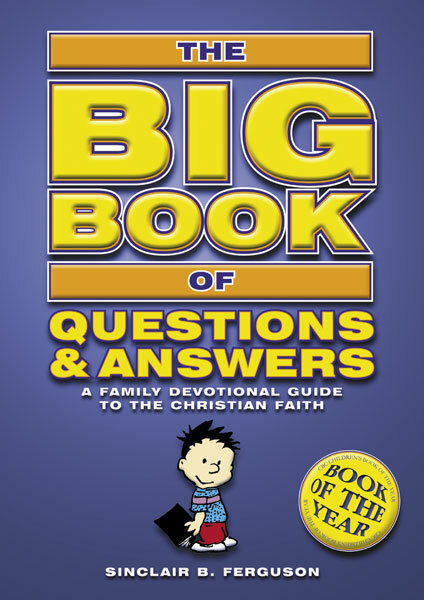 The Big Book of Questions and Answers is a family guide to the Christian Faith. It has so many uses! You can use it as a daily devotional for the family, as a weekly spot at Sunday School or as a Christian basics course at home school. However you use it your kids (and you!) will have a great grounding in the Christian faith. Sinclair B. Ferguson is Senior Minister of First Presbyterian Church of Columbia. He is also Distinguished Visiting professor of Systematic Theology at Westminster Theological Seminary. He was formerly minster of St. George’s-Tron in Glasgow.